Rajeev Dhavan called it quits on December 11 after what he described as a “humiliating end” to the Delhi government-Centre dispute case following heated exchanges between him and the CJI. Senior advocate Rajeev Dhavan, who recently gave up court practice in wake of his courtroom spat with Chief Justice of India Dipak Misra, has reconsidered his decision on the request of his client to appear in the Supreme Court in the Ram Janamabhoomi-Babri Masjid dispute. Mr. Dhavan called it quits on December 11 after what he described as a “humiliating end” to the Delhi government-Centre dispute case following heated exchanges between him and the CJI. Advocate Ejaz Maqbool, who is representing some of the Muslim bodies in the Ayodhya land dispute case, said that they had urged Mr. Dhavan to represent them in the matter and the senior counsel has accepted the request. 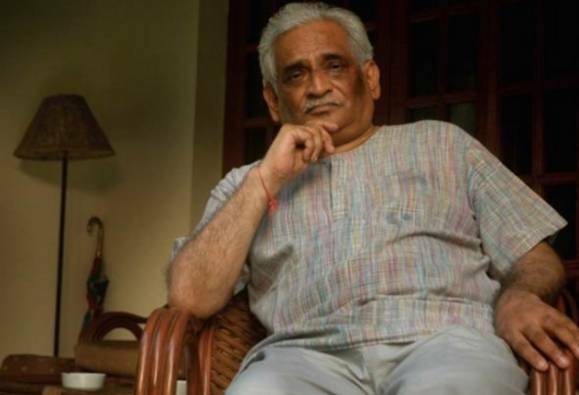 He said that before Mr. Dhavan announced that he had given up court practice, the senior lawyer was appearing for them in the Ayodhya dispute case. “We requested him (Dhavan) to make an exception for the Babri Masjid case and he has accepted our request and he will continue to appear for us in the Babri Masjid case,” Mr. Maqbool said in a letter sent to the media. “He (Mr. Dhavan) will be writing a letter to the Chief Justice of India that he will continue to appear in his pending matters,” he said. Mr. Dhavan had earlier addressed a letter to the CJI saying he had decided to give up court practice. “After the humiliating end to the Delhi case, I have decided to give up court practice. You are entitled to take back the senior gown conferred on me, though I would like to keep it for memory and the services rendered,” he had said in his letter. His surprise announcement had come days after the apex court reserved its verdict in the Delhi-Centre case, i.e. whether the Lieutenant Governor or the Delhi government enjoys supremacy in the administration of the national capital. On December 6, just before the conclusion of the hearing in the case, heated exchanges were witnessed between the Chief Justice and Dhavan. The senior lawyer was appearing for the Delhi government in the case besides their lead counsel Gopal Subramanium. In the Delhi-Centre dispute hearing, Mr. Dhavan had made some submissions which were not appreciated by the bench.